Thomas Gainsborough (obverse) and The Wood-gatherers. E. Ortner. 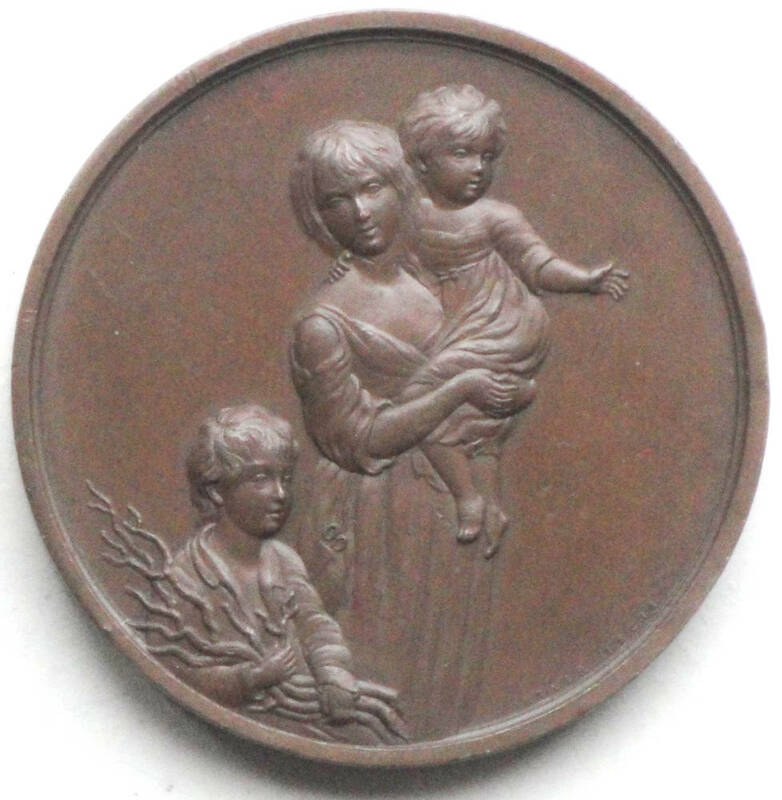 Bronze, 54.5 mm. in diameter. Private UK collection. Inscribed (obverse): “T. GAINSBOROUGH.R.A. 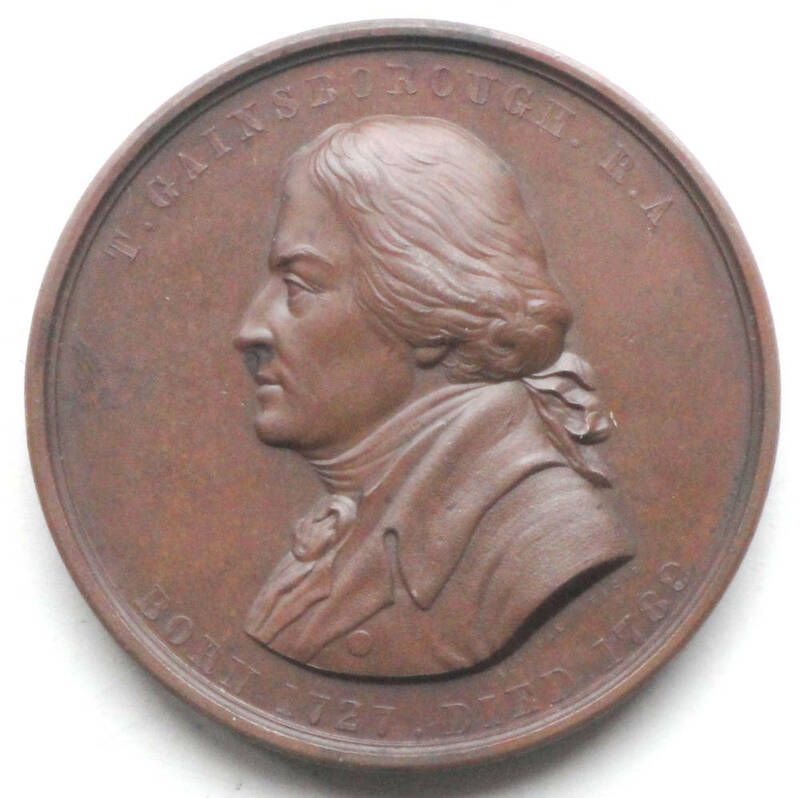 / BORN 1727.DIED 1788.” Signed obverse and reverse: “E. ORTNER FECET.” The three figures on the reverse are a detail of a painting by Gainsborough in the Metropolitan Museum of Art, New York.